Your home relies on multiple appliances to keep your household comfortable and efficient, from tumble dryers to automatic dishwashers. 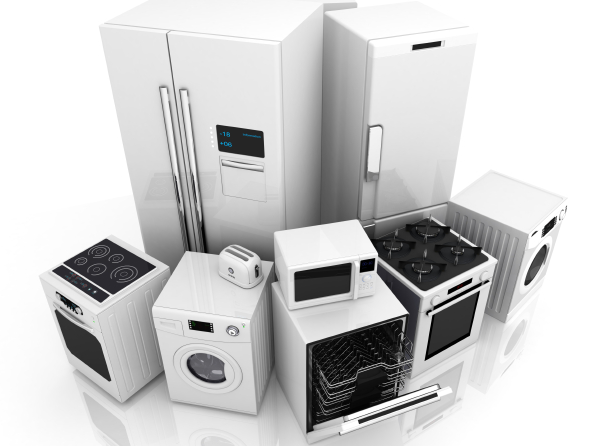 These appliances do require periodic maintenance to avoid breakdowns and costly repairs. However, simple troubleshooting and cleaning techniques are all you need for some of the top home appliances. Pull your fridge away from the wall. Wipe the coils clean in the back, along with under the appliance. Clean out the refrigerator of all food, selecting expired items for the trash. Make sure to always close the fridge and freezer doors properly. Allowing warm air into these appliances can cause numerous problems such as ice build up and leaking. Check your fridge and freezer seals from time to time. Cracked, loose or warped seals allow too much warm air to enter the appliance resulting in ongoing problems. Inspect under and around your dishwasher. Any leaks need to be addressed immediately. Open the appliance and scrub water mineral buildup away with a vinegar spray. Run the appliance and listen to its operation. Any unusual sounds should prompt you to check other moving parts, including the spray arms, drain pump and motor. Ensure you follow the operating instructions with the correct amount of rinse aid, powder or tablets and course salt. Too much of the aforementioned can cause mineral and debris build up resulting in your dishes not being clean at the end of a cycle. Regularly clean the dishwasher filter situated at the base of the interior of the unit. Remove the filters from above your stove range. Fill the sink with soap and hot water. Soak the filters until all the grease is easily scrubbed off. Inspect the inside of the extractor while the filters are off to remove any debris that has lodged in the area. Pull the vents from the dryer and clean all lint away. Tighten any loose screws in the dryer drum. Wipe the washing machine drum down with a vinegar solution to remove water mineral buildup. Clean the exterior of both appliances. Inspect hoses and wiring behind the washer and tumble dryer. Any pinched, cracked or broken lines need immediate replacement. Take some time out of your monthly schedule to check all of these key areas for long-lasting appliances, as keeping your appliances in top shape only increases their efficiency. However, should your appliances ever break down and need repairs, be assured of prompt and professional service from Bergens Randburg.